Activist and institutional investors have catapulted environmental, social and governance (ESG) standards into the mainstream, pushing companies on issues ranging from sustainability and disclosure practices to gender diversity and working conditions. What do directors need to know about the growing momentum behind ESG investing? How does a renewed focus on social responsibility impact the role of a director? Veteran director Betsy Atkins shares ESG strategies for the boardroom. The term ESG is coming up more and more often in board meetings, particularly since BlackRock’s Larry Fink publicly called on CEOs to “understand the societal impact of your business.” Yet, what constitutes socially conscious investing—and the motivations for it, whether altruistic or performance- based—seems to vary widely. What does ESG really mean? While ESG investing is gaining momentum, there are no globally defined standards for the criteria. Rather, ESG is a broad catchphrase referring to screening criteria used to determine whether an investment can be deemed socially conscious. And, as you point out, the motivations of investors range from those interested primarily in a cause, such as protecting the environment by investing in “green” companies, to those who feel ESG investments deliver a stronger performance and hope for better returns as a result of the screens. 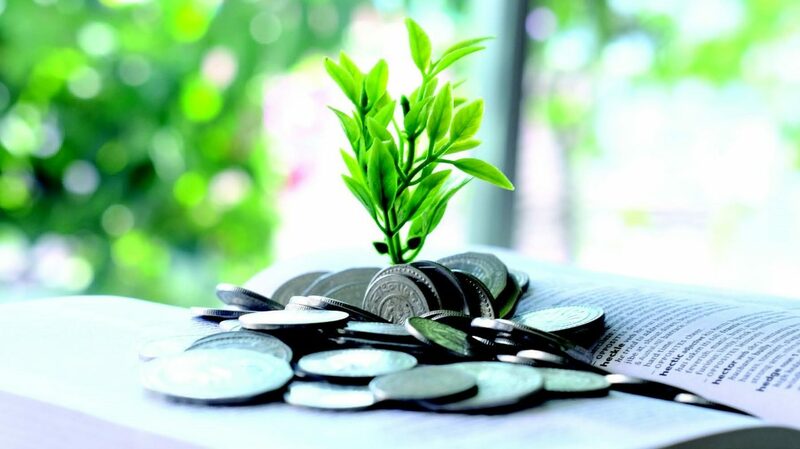 How widespread is ESG investing, and what’s driving this trend? ESG is no longer confined to a small fringe of specialty investors who are focused on one minor outlier issue and who can be dismissed. That fact was underscored recently when 62 percent of ExxonMobil shareholders defied management’s recommendations by voting to require the world’s largest oil and gas company to report on the impacts of climate change to its business. Institutional investors also demonstrated interest in the environment, with Fidelity, BlackRock and Vanguard all voting in favor of climate change disclosure during the 2017 proxy season. ESG investment is on the rise broadly. State Street Global now has a fund dedicated to ESG (State Street World ESG Index Equity Fund). To serve the growing pool of ESG investors, index provider MSCI created its own ESG ratings, ranging from AAA to CCC, relative to industry peers on more than 5,000 companies, as well as more than 350,000 equity and fixed-income securities. In short, ESG has gone mainstream. As BlackRock’s Larry Fink explained in the letter referenced above, his investment firm is increasingly integrating ESG issues into its investment decisions because “a company’s ability to manage environmental, social and governance matters demonstrates the leadership and good governance that is so essential to sustainable growth.” That, in a nutshell, captures the essence of the ESG investment philosophy. As the ESG investment trend gains momentum, what impact is the focus on climate concerns and social issues having on boards of directors? that identify future directors—at 400 companies it identified as having failed to address a lack of gender diversity in their boardrooms. Does ESG correlate to improved company performance for our shareholders? There is strong data that shows that ESG does, in fact, correlate to better company performance for shareholders. For example, iShares MSCI USA ESG Select ETF has ranked in Morningstar’s top quartile for the past decade. Another ESG fund that has performed well is Parnassus (PARNX), which screens companies partly on how well they treat employees. For the last decade, PARNX fund has exceeded the S&P 500, suggesting that socially responsible companies do outperform their peers. Screens that focus on strong governance, in particular, have been successful. And for good reason. Companies with strong governance avoid catastrophes like the Wells Fargo tone-at- the-top issue or Equifax’s mishandling of its cyber breach. In fact, index provider MSCI’s scrutiny of governance practices enabled it to raise a red flag about Equifax’s cyber vulnerability well before the ratings firm suffered a breach and then botched its response. And the Japan JPX-Nikkei 400 index has a “shame index” that identifies companies that don’t comply with international disclosure and governance standards. (34 percent) in the workplace, and they are passionate about many ESG issues. Also keen on social issues, Generation Z represents 21 percent of the workforce. Ultimately, directors and CEOs need to think about ESG as part of their strategy since this is a macro trend that is gaining momentum. This mainstreaming of ESG is reminiscent of when index funds joined with activist investors, placing hundreds of millions of dollars in support behind activist proposals. Directors should anticipate a similar situation with ESG topics this proxy season. Performance in areas like sustainability and social responsibility can be difficult to quantify. How can companies demonstrate ESG strength? To be effective, companies need to have a specific plan for communicating to Wall Street about how ESG will impact their business and their go-forward strategy. Identifying consistent, agreed- upon metrics will be the challenge. For example, a company’s starting point and progress on the environment might be sustainability measured by energy efficiency across facilities. On social [issues], impact could be addressed in areas such as diversity of the workforce, which can be clearly measured.